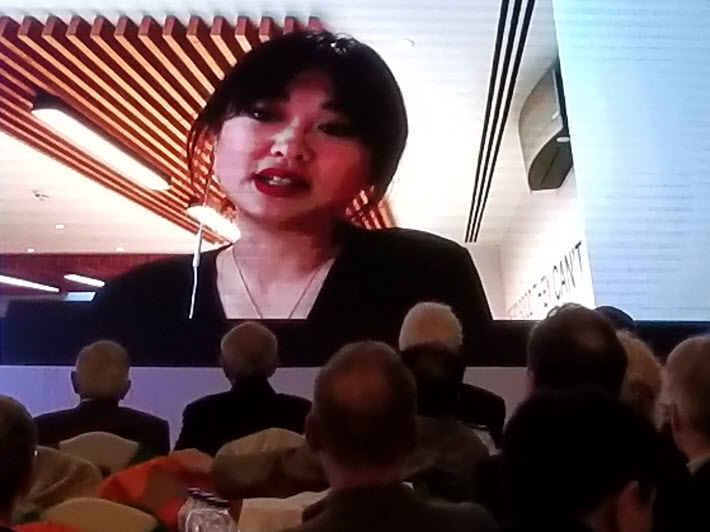 Citing ‘an optimism that in the face of unimaginable cruelty still believes in change,’ UK-based Angela Gui accepts the Prix Voltaire for her father, Gui Minhai. 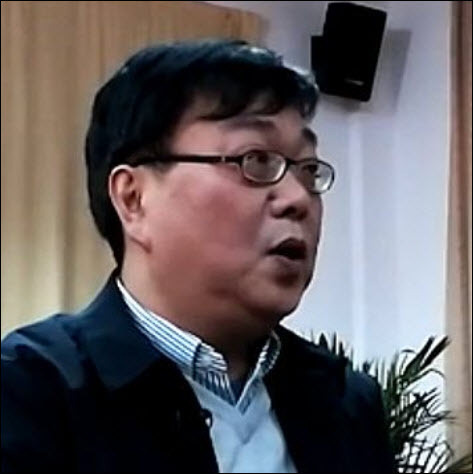 At a moving gala dinner event Monday (February 12), the International Publishers Association has formally awarded the 2018 Prix Voltaire—the association’s highest honor—on currently detained publisher and bookseller Gui Minhai. The prize is a recognition of champions of freedom to publish, players in the international industry who have often experienced imprisonment and other deprivations in their insistence on the right to publish at will. This year’s award has taken on wide international visibility with the re-detention on January 20 of Gui in an abduction by Chinese authorities from a Beijing-bound train. Gui is a Swedish citizen and Stockholm has been joined by Brussels and Washington in strong protests of the action, to no avail. Most recently, he was seen on the weekend in what rights activists say is a forced “apology” briefing with media members, arranged by the Chinese police. In accepting the award on behalf of her father, Angela Gui, who is taking a PhD at Cambridge, spoke by remote transmission to the congress floor. Gui—with the poise and intelligence that has impressed the 60-nation publishers’ body in an earlier communication—compared her father’s optimism to the upbeat outlook in Voltaire’s satire Candide, saying, “It’s an optimism that’s not crushed by lies, force or humiliation…It’s an optimism that in the face of unimaginable cruelty still believes in change. 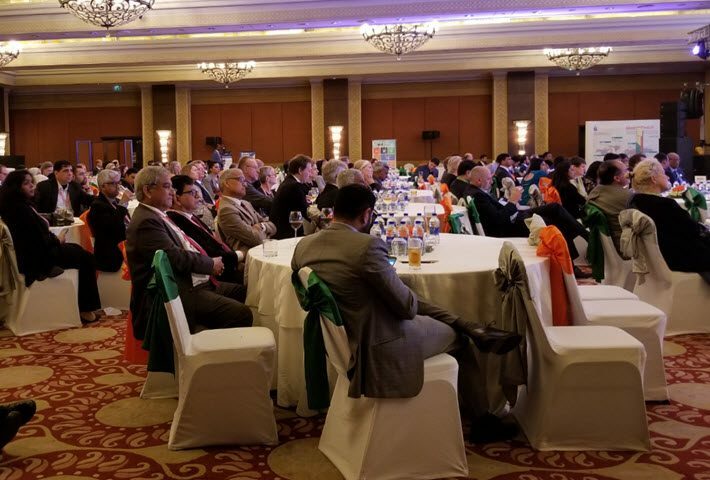 The award was given during the IPA’s 32nd International Publishers Congress in New Delhi, where the core value of the Prix Voltaire—the freedom to publish—has been a point of urgent debate, on an international landscape of perceived political attacks on free expression. 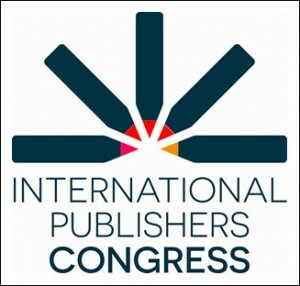 Addressing the 60-nation congress which comprises 70 publishers’ associations—including those of both China and Sweden—IPA president Michiel Kolman, an executive with Amsterdam’s Elsevier publishing conglomerate, said, “Freedom of expression is a human right under Article 19 of the Universal Declaration of Human Rights. The chairman of IPA’s Freedom to Publish Committee, which confers the Prix Voltaire, is Norwegian publisher Kirstenn Einarsson. He told the congress, “Gui Minhai has contributed to the free circulation of ideas, participating in human rights conferences and sitting on the board of the independent Chinese PEN. The award ceremony was closed by the presentation of two posthumous special awards to Chinese Nobel Peace Prize winner, Liu Xiaobo, and Bangladeshi publisher Faisal Arefin Dipal. Liu Xiaobo died from cancer in July 2017. A Chinese writer and activist, he was probably one of the most prominent dissidents in his country. Liu had to overcome censorship while working for the magazine Democratic China but also when publishing articles criticizing the Chinese Communist Party and the lack of freedom and democracy in China. He was awarded the Nobel Peace Prize in 2010. Faisal Arefin Dipan was a publisher in Bangladesh who had collaborated with many prominent writers of Bengali literature, as well as eminent scholars and personalities. He was hacked to death inside his office at the hands of suspected religious extremists on October 31, 2015. Dipan’s widow, Razia Rahman Jolly, who has taken on the running of Dipan’s publishing house since his death, received the award at the publishers’ assembly in New Delhi on Dipan’s behalf. Wearing a white sari, a sign of mourning, she noted how important the award was, recognizing her husband’s work as a publisher. Jolly said “We have have sacrificed our sunshine. We are in darkness.” And yet she promised to continue her husband’s work and keep publishing books in Bangladesh. 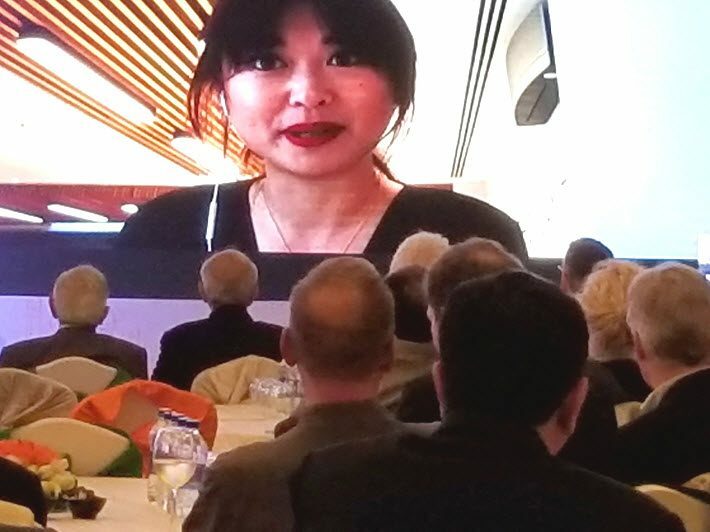 More coverage from Publishing Perspectives on Gui Minhai, his daughter Angela Gui, the Prix Voltaire, the International Publishers Association, and its 32nd International Publishers Congress in India is here.